Did you know that a lot of kids whose parents can not afford new clothes, backpacks or school supplies for school usually do not come the first day of school. Why? Why do you think that is? It is mostly because they do not want to be embarrassed showing up on the first day of school in lack. 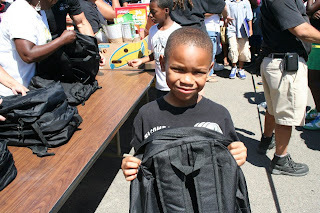 Today we were able to once again give to Helping Hands Back to School Backpack Give Away. Not only were we able to help with some back backs but a whole pallet (Which is about 30 banana boxes) full of notebooks, rulers, binders, and other supplies needed for school. We were also able to give 2 pallets of supplies that was geared toward teenagers and college bound students. How awesome it would feel, plus what a relief to know you have all you need for school. 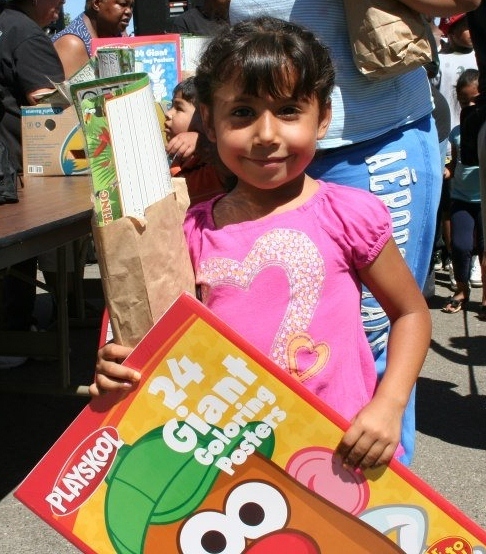 Last year Helping Hands had 1,000 people show up to receive school supplies, clothes, and hair cuts, free of charge. 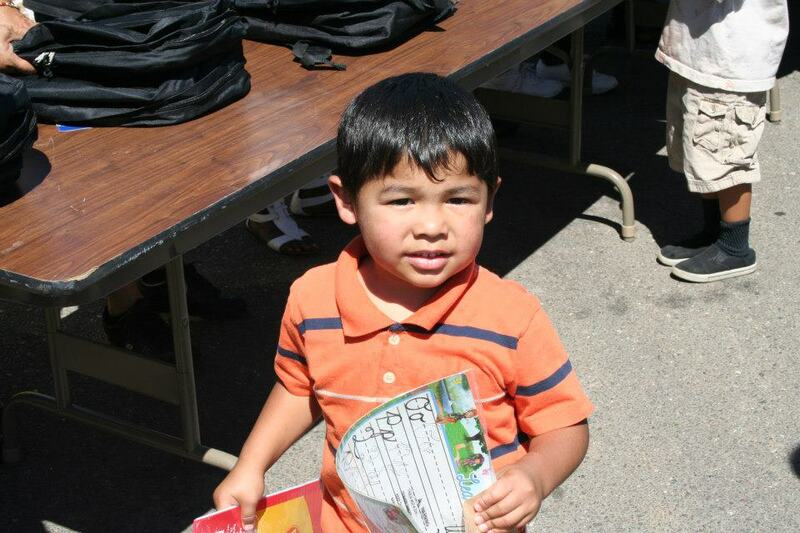 The following three pictures were taken last year during their Backpack Give Away. We still have one more pallet to give to a church in Elk Grove that goes to the schools to give supplies to those in need. What a great way to start the school year.